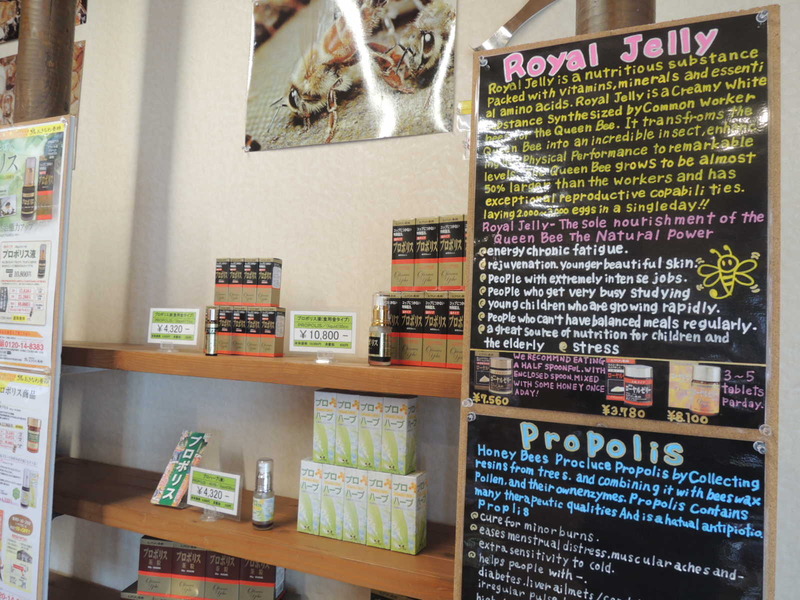 Honey Shop offers you not only Honey but also healthy Royal Jelly and Propolis. 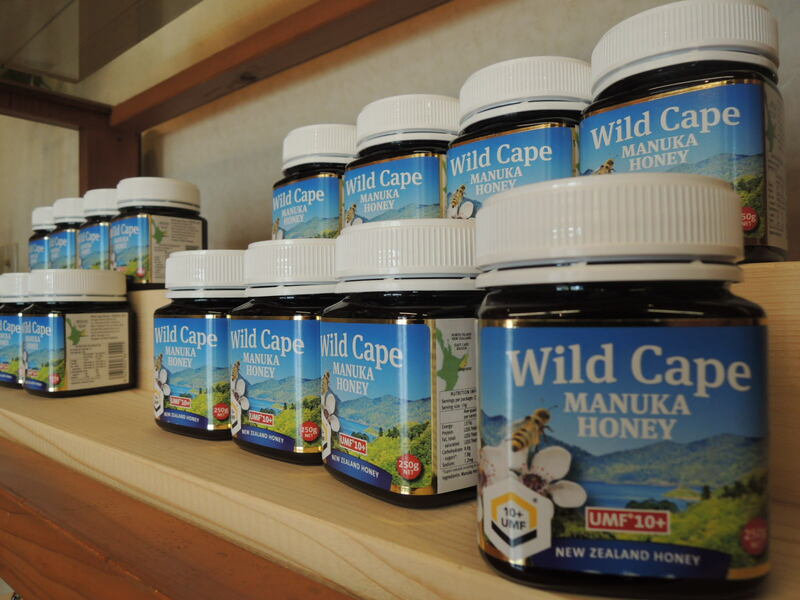 Over 40 years of experience since we opened our doors for business, with locally harvested honey on offer. 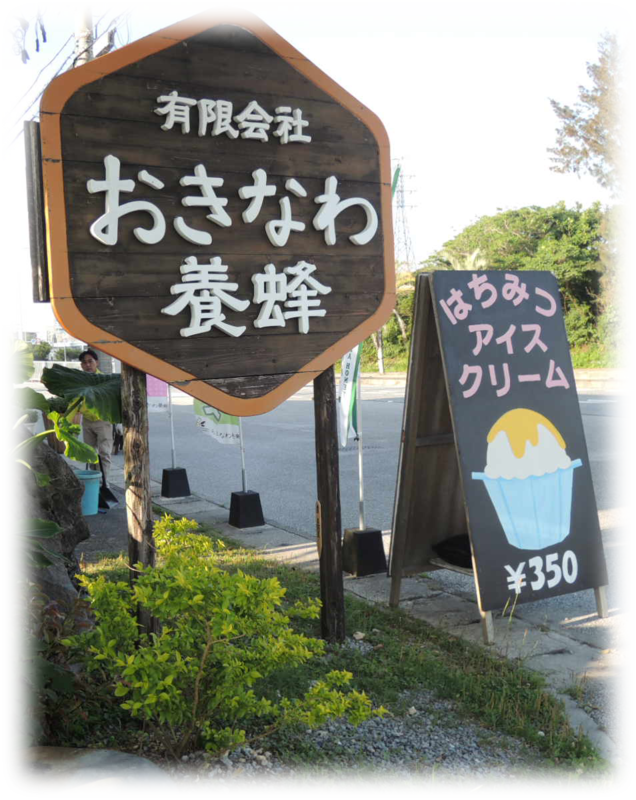 Drop by and try our ice cream menu. 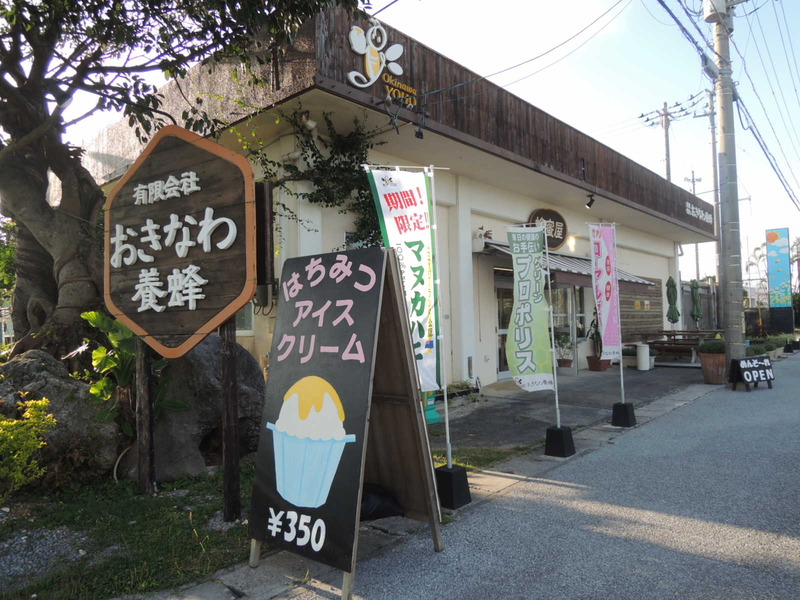 We have different flavors to choose from, including vanilla, chocolate and Japanese Green Tea. Top it off with honey, blueberry or chocolate sauce too! 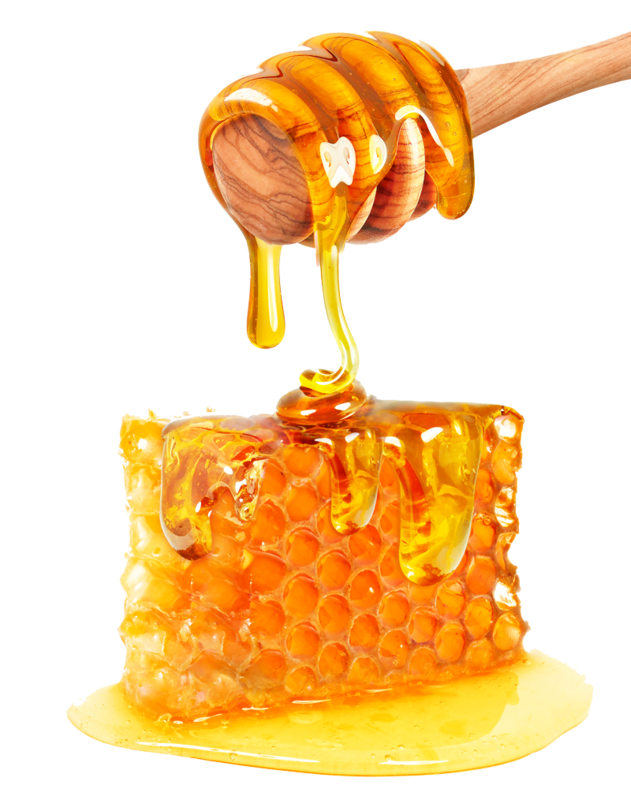 Ice cream topped with this honey comb is popular. 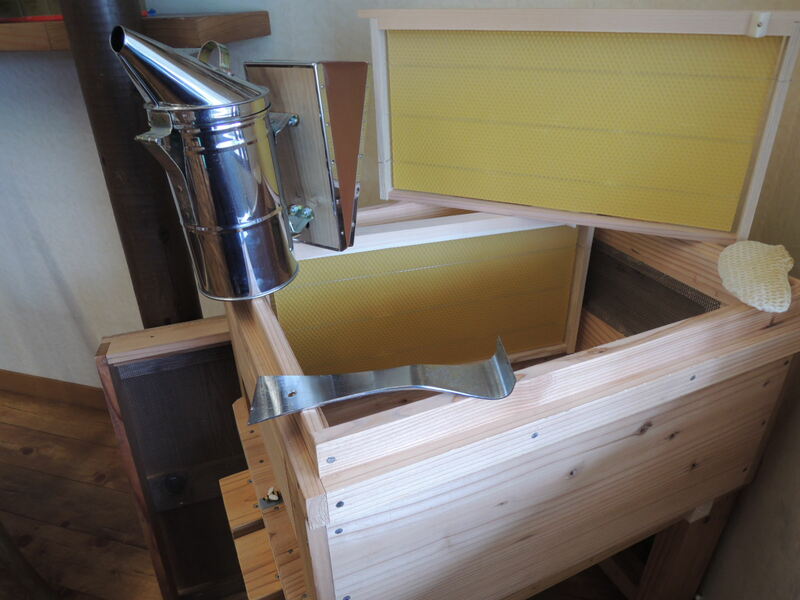 In store tasting and sales are available and we ship our honey throughout Japan. 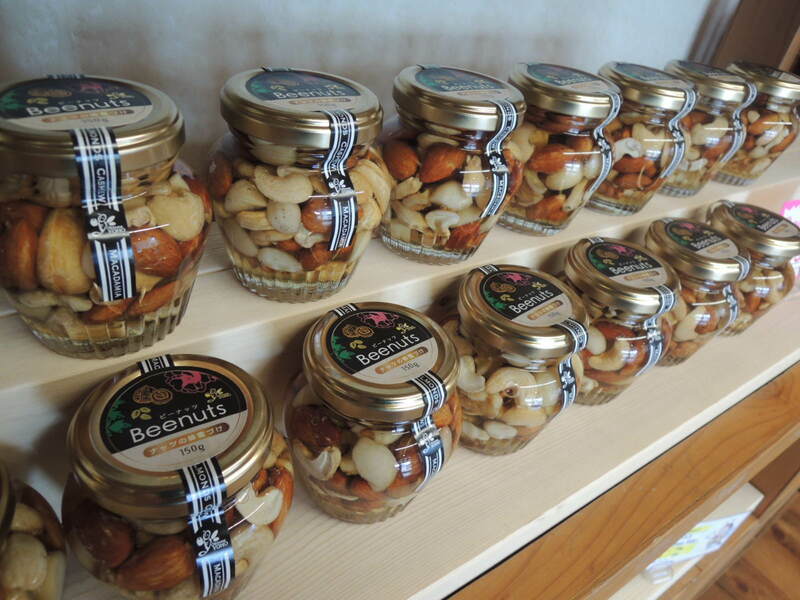 Online sales (HERE) can be accomplished but regrettably only in Japanese. Our shop is small. However, it is okay to visit with a large number of family members and friends. We have limited seating inside but offer terrace seats outside the shop, with large tables, long chairs and umbrellas. We are sincerely welcome your visit. 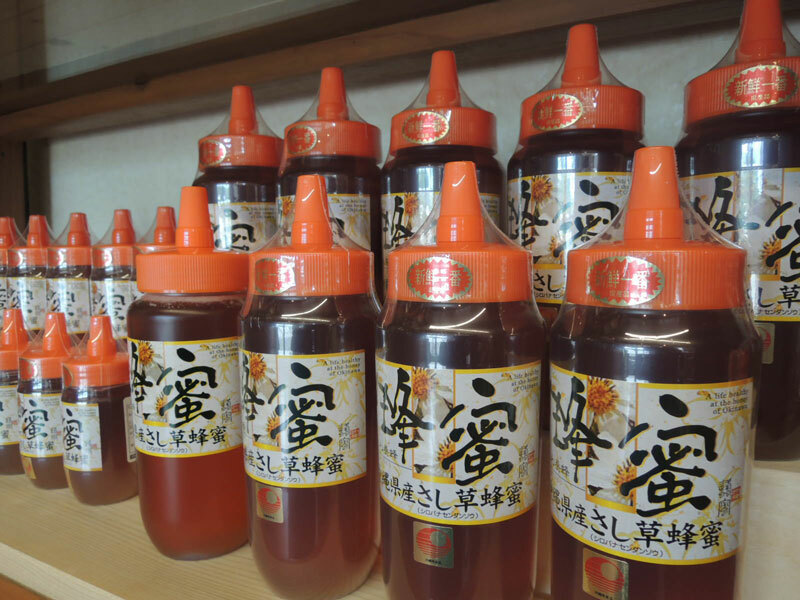 We stock locally harvested Okinawa honey as well as healthy Royal Jelly and Propolis. We also have homemade ice cream! Don’t miss our honey topped ice cream! 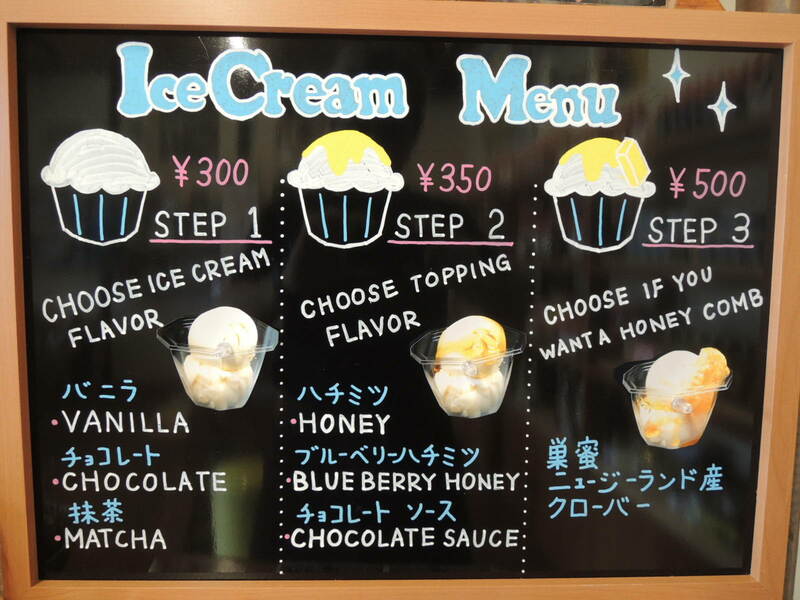 Come and try our honey topped ice cream! 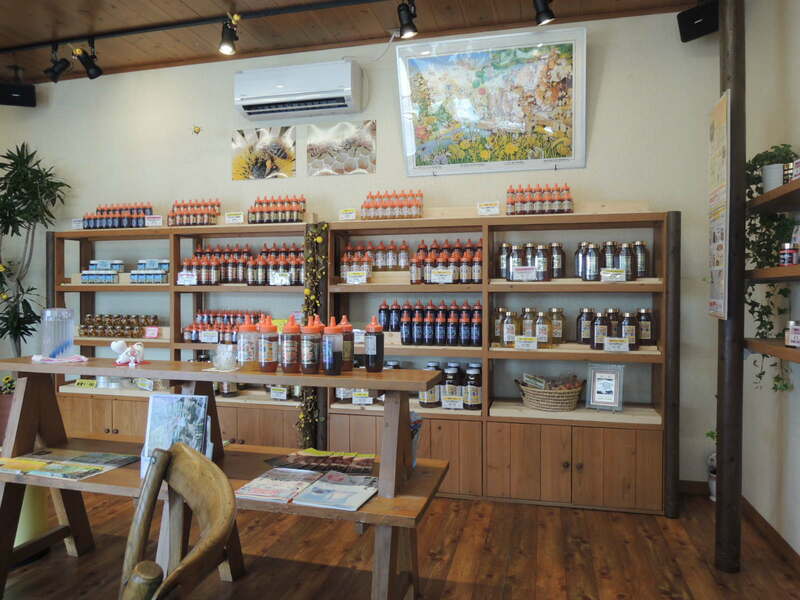 Visit for locally harvested Okinawa honey as well as Royal Jelly and Propolis. Online sales are available in Japanese.